Hello! I’m helping fill in for Hungry Hungry Hilary while she is on Mommy Leave, and I’m THRILLED to be the one to announce on her blog that her baby has arrived! 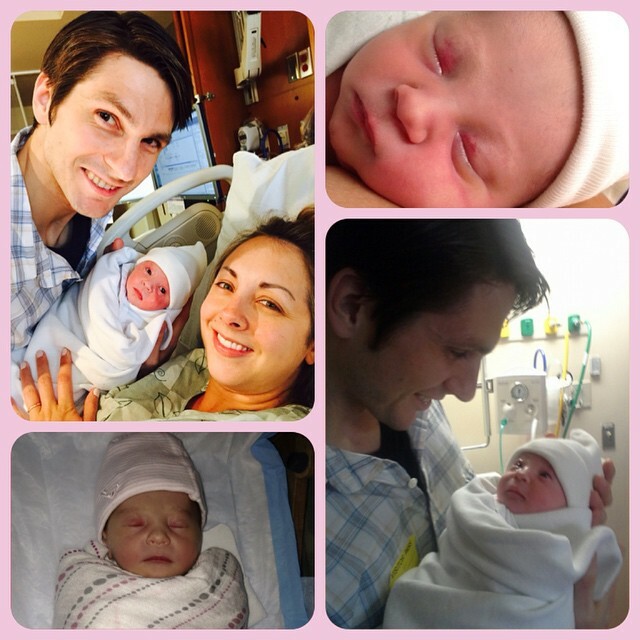 Baby Natalie joined the world on June 13, two weeks before her official due date! I’m sure Hilary will give more details later, but I’m happy to say that both mommy and baby are healthy and doing great. And here are a few pictures of the beautiful new addition! Isn’t she so cute??!! We love her already. And lucky me, I’m an aunt to this adorable bundle! Yes, as way of introduction, my name is Julie and I am Hilary’s sister-in-law. Dr. Matthews is my little brother. Ok, maybe not so “little.” He’s 9 inches taller than me and all grown up with a baby now. I’m so excited to see him and Hilary in their new roles as daddy and mommy! Ok, that being said, on to the food! 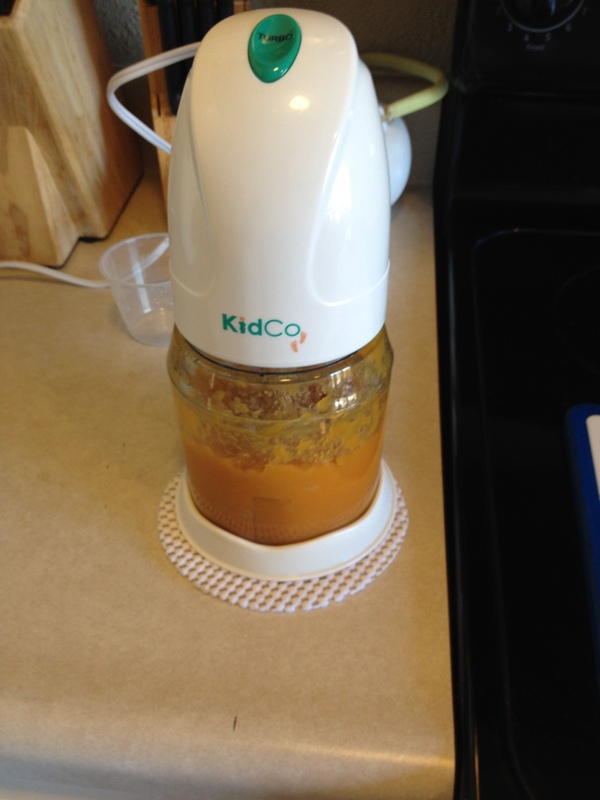 I’ve decided to write my guest post about making baby food. Now that Hilary’s a mommy, she might find this useful several months from now. And hopefully some of you out there could benefit from these tips as well. I have two children, ages 3 and 1, and I’ve made about half the baby food for each of them. I use some store-bought, for the convenience of it, but sometimes it’s nice to use homemade to cut the cost, and so I know exactly what ingredients are in it. 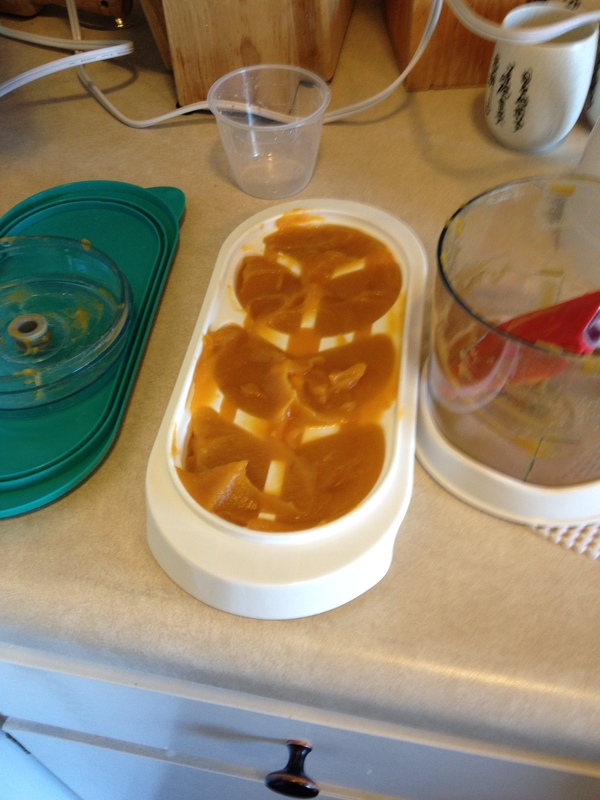 The two main things you’ll need for making baby food is a way to grind it up and a way to store it. 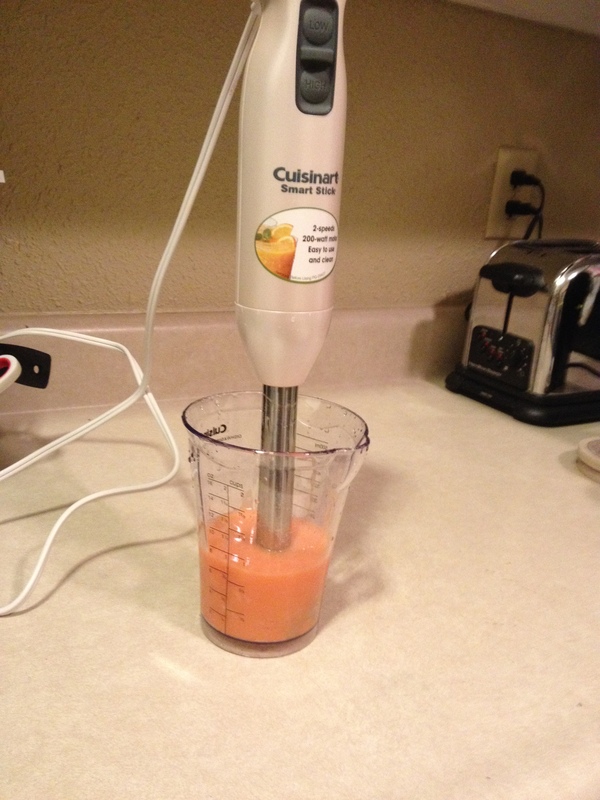 For grinding, you can use an actual baby food grinder, a food processor, blender, or immersion blender. For storage, you can use any container, but ice cube trays work great. Then, just blend away! For young babies just starting on “solid” foods – about age 6 months, you’ll want to start with simple purees of single, easy-to-digest vegetables such as sweet potatoes, carrots, and squash, and fruits such as bananas, apples, and pears. Steer clear or citrus fruits until they’re about 12 months. As the baby gets older, you can add new foods, create different combinations of foods, and begin adding spices and sauces. And when they’re about a year old, you can grind up anything! It’s really convenient when they’re old enough to eat table food, and you can just throw whatever you’re eating into the grinder and then feed it to baby. Step 1: Choose a fruit or veggie! Step 2: Peel it! Unless it’s something that doesn’t need peeled, such as green beans or broccoli. Step 3: Steam it! Bananas and avocados don’t need to be cooked, but everything else should get steamed. 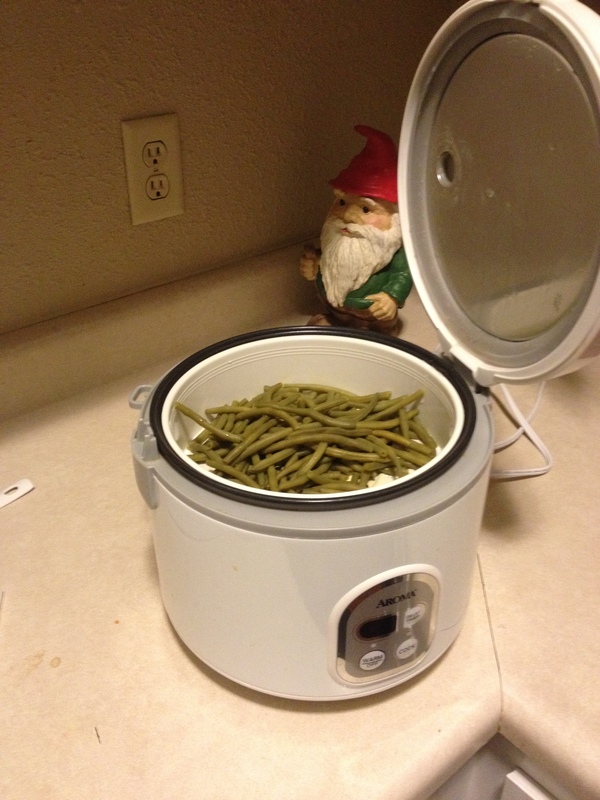 I often steam veggies in my rice cooker! Or you can just boil them in a saucepan with about a 1/2 inch of water. Sweet potatoes in my baby food grinder! 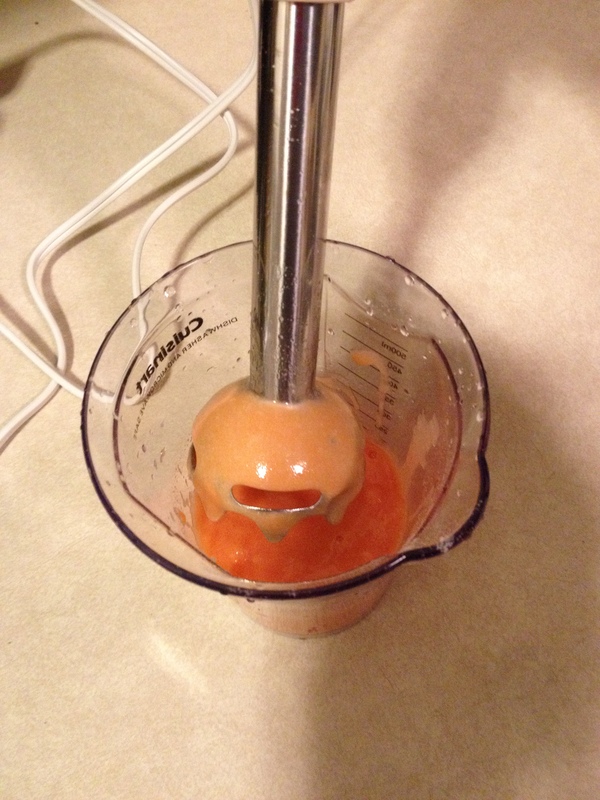 Pureeing carrots using my immersion blender! Step 5: Feed baby! I always mix in baby rice cereal or oatmeal to bulk it up a little. And that’s it! Again, as the baby gets older, you can do all kinds of combinations. 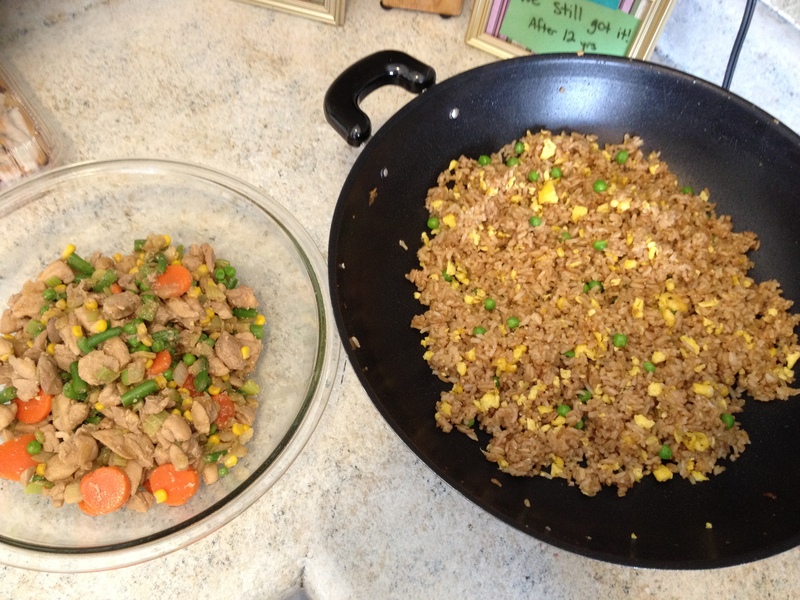 Below is a photo of Egg Fried Rice and Teriyaki Chicken Stir Fry, right before I ground up a portion of it to feed to my baby! We’ve also done this with Pot Roast, Spaghetti, Tacos…just about anything. Except pizza. I’m not sure how that would do in the blender! Grown up food ready to be pureed for baby!